I know it has been a long time since I last blogged. In fact, I wondered if I would ever blog again. It was just so nice to free up all that time to do other things. I’ve been continuing with my life makeover. I’ve also been super-busy at work. A few weeks ago, I decided that I was just tired of being surrounded by clutter and things I don’t love anymore. Everywhere I looked in our house, there were just a bunch of things that I no longer used or loved. It was time for a de-clutter, re-organization, and makeover. 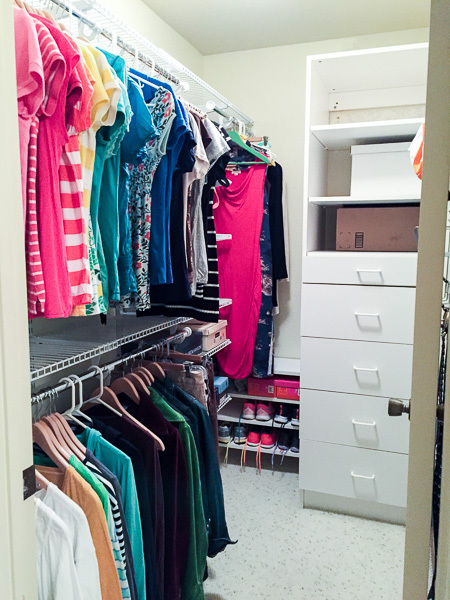 First on the list was my master bedroom closet. We have two closets in our master bedroom. I have the walk-in closet, while Todd has the long reach-in closet. I had SO MANY clothes that I was no longer wearing. They didn’t fit, were out of style, or were worn and shabby. WHY were they still in my closet?? I was so tired of just wearing 1/4 to 1/3 of all my clothes. 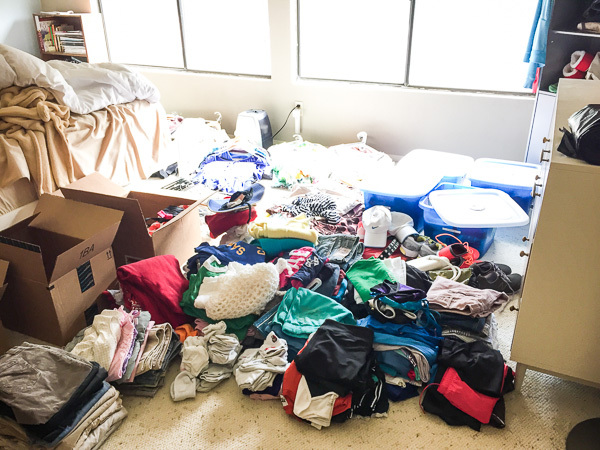 Time for a major purge! 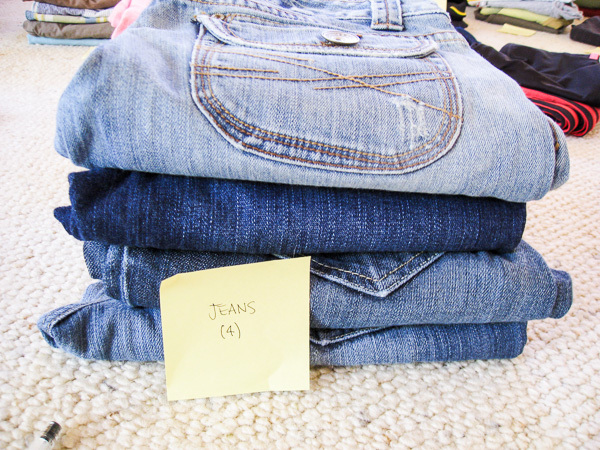 But because I am an over-achiever, simple purging my clothes wasn’t good enough. I had to totally re-do my closet, ha ha! 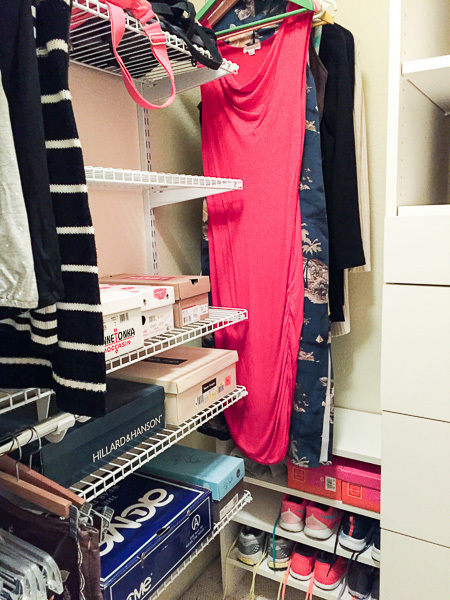 I bought this closet organizer for under $100 off Amazon. 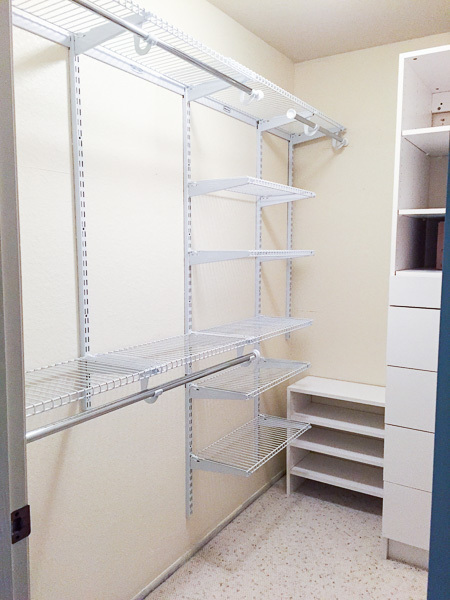 I had looked at different systems such as the Elfa at the Container Store, the Algot from IKEA, etc. 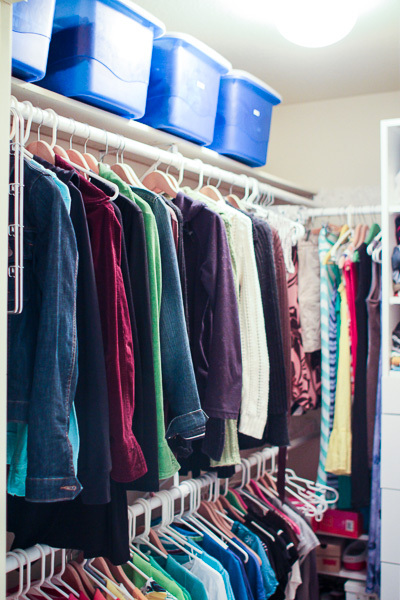 But I didn’t want to plan out a major system, when I planned to get rid of half my clothes. It was just easier to purchase this sub-$100 system and add to it or modify it later if I wished. This was my closet before the makeover. 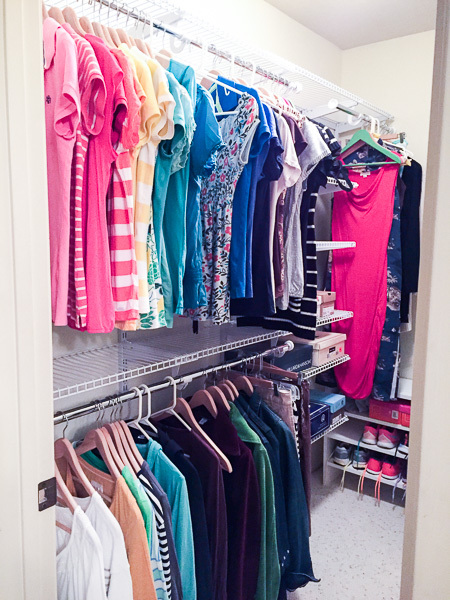 We hadn’t done anything to the closet since we bought the house in 2001! Seriously! 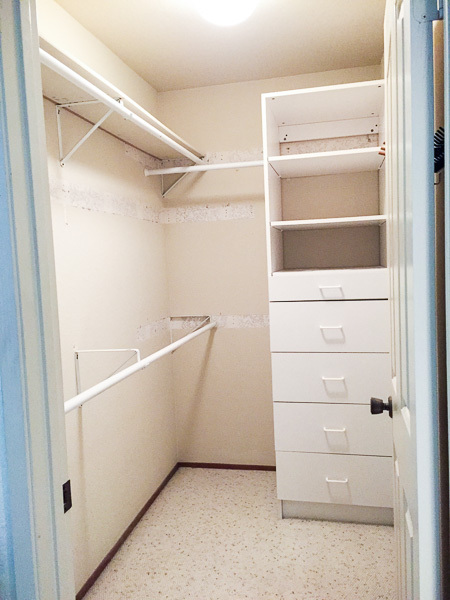 It was just a very simple closet with some brackets holding up two long rods with a shelf on top. The white drawer & shelf unit was there when we moved in. I had some storage bins on the top shelf for things that were memento/nostalgia types of clothing (sweatshirts from college, sports team championship shirts, etc.) that we never wore. However, the bins were designed with holes for handles and on top of the lid, so the contents inside got really gross and dusty from the openings. Yuck. So the first thing I did was move EVERYTHING out of the closet. I took every single thing out. Our entire master bedroom and the hallway was lined with my clothes and shoes. Todd helped me take off the existing closet structure, except for the white drawer unit, which we kept. He put a fresh coat of paint on and it looked much better! Meanwhile, I went through every piece of clothing and decided whether to trash, keep, or give away. 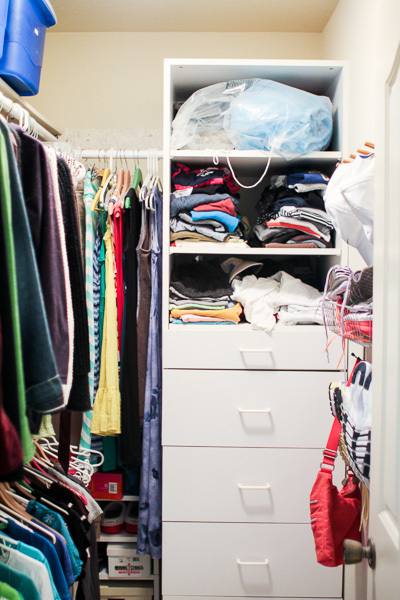 I also went through my clothes in the other closets upstairs and got rid of some of those clothes. 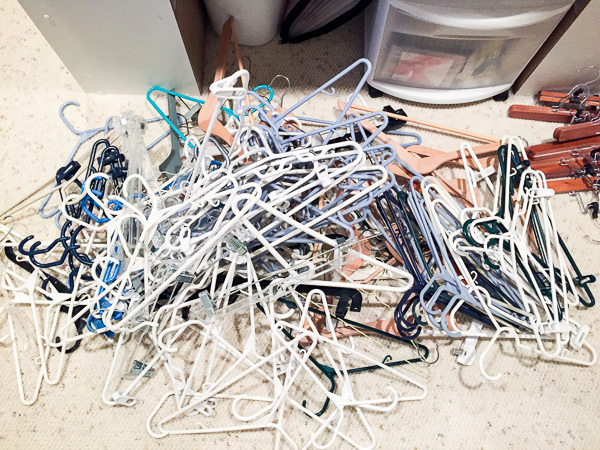 I freed up a lot of hangers! 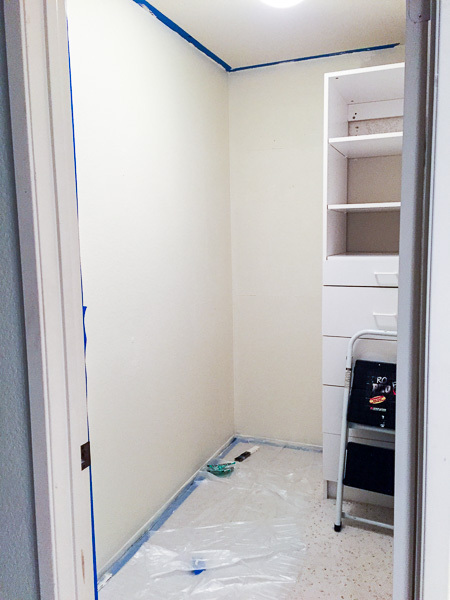 The next day, after the paint dried, Todd helped me install the closet system. It was fairly easy and straight-forward. The main thing is to install the horizontal bar totally level, and at the height that you want your high shelves to be. Then install the verticals. Todd did up to this much for me. 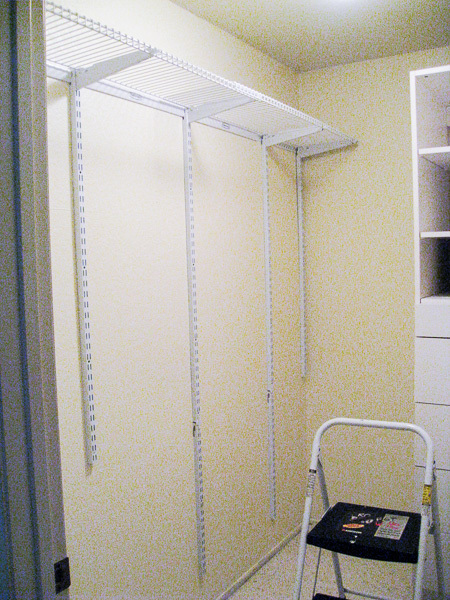 I decided the rest of the closet configuration by installing the brackets where I saw fit. I wanted two hanging rods on top of each other for shorter tops. Then a smaller hanging rod on the right side for longer dresses. And I wanted shelving! Now I have more shelves for shoes and handbags and things. 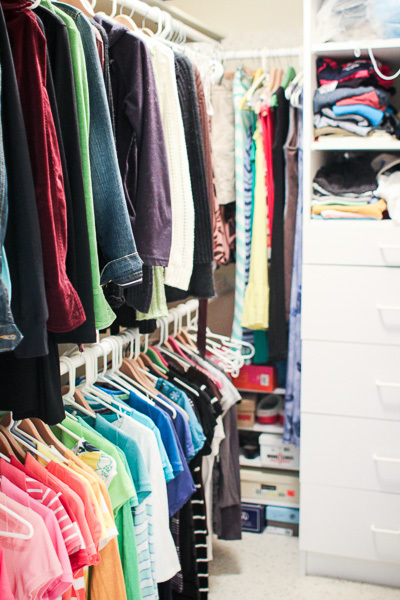 When I put the clothes I’m keeping back into my NEW and IMPROVED closet, I had all the shelves in the white drawer unit empty! There was so much more room for my hanging clothes, even though my rods were shorter after the change. Shelves for some shoes and purses. No, those aren’t all my shoes, ha ha. The majority of my shoes are downstairs in the laundry room on a wheeled rack. 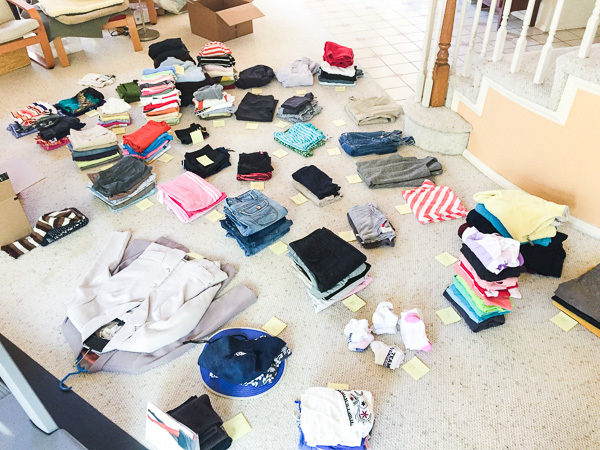 I spent a couple of hours the next day organizing the clothes that I gave away. I know that most people just throw them into trash bags and drive them to the donation center. We itemize our tax deductions and I wanted really good records of what I donated so I can itemize them for the maximum amount of deduction possible. So I always organize the giveaway clothing into similar types and then label how many of each I gave away and take photos of them. Then I just tag the photos “giveaway” in Lightroom and have the records I need when it comes to tax time. 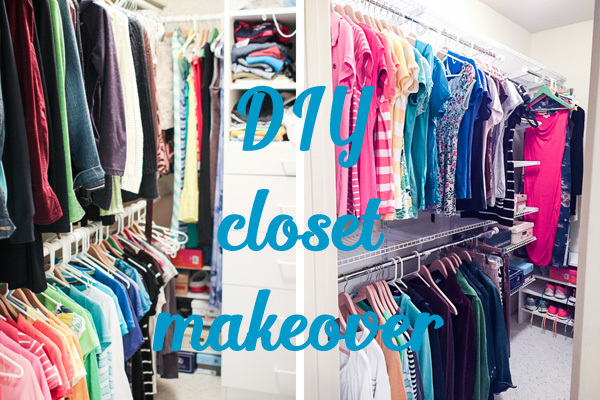 I hope you’ve enjoyed seeing my closet makeover! I’m on a mission over the next few months to completely de-clutter my entire house and make it look nicer and refreshed. 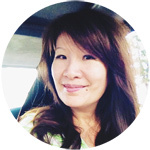 I will share here on the blog if the changes are share-worthy. Thanks for stopping by! I know it’s been a while! Hi there! My name is Christine. I love my family, friends, food, fitness, and all things crafty. Welcome to my blog! You can learn more about me here. © 2019 Christine Newman. Powered by Blogger.